Today's Signal Boost is for Christian Thriller author Tony Ross. 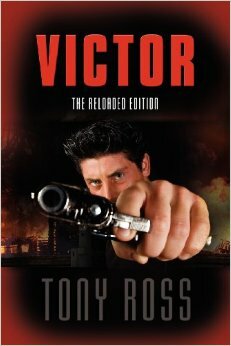 Tony has two books out, Victor: the Reloaded Addition and Orion. Both books are stand-alones in the same background. Victor: the Reloaded Addition: Mona's revolutionary discovery has been twisted by her former employer, who now threatens to unleash Hell on Earth. She flees with critical information in a desperate bid to stop him. Her only ally is an unusual detective pulled into a situation far beyond his ability to handle. Her only hope lies in unlocking the mind of the assassin pursuing her. Morality, science and the supernatural collide in this explosive thriller from Tony Ross. Orion: David Johansen thought he'd escaped the violence of his past. He had no idea how wrong he was. Faced with a killer's deadly ultimatum, and trapped in an overcrowded, snowbound hotel, David must protect both a frightened young woman and the people of the small town he calls home…while confronting the darkest secrets of his heart. 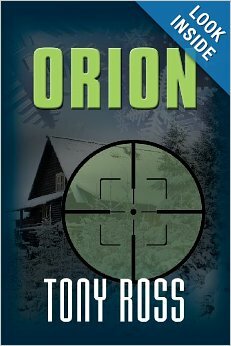 Orion is the suspenseful, page-turning sequel to the award-winning Victor: The Reloaded Edition. You can click on the titles to see the books on Amazon. March 18, 2014 in Signal Boost.